Accountable Care Organization (ACO) networks and bundled payment programs continue to gain momentum across the nation. As such, these influential networks (inclusive of physician groups, hospital systems, managed care, etc.) are becoming more influential and even more refined. The impact of these health care reform mandates speak volumes! They suggest that this shift will continue to gain momentum. For example, several studies demonstrate the percentage of bundled payment patients discharged from the hospital setting directly to a skilled nursing facility has dropped as much as 30% - 50% for orthopedic and cardiac valve replacement surgeries. 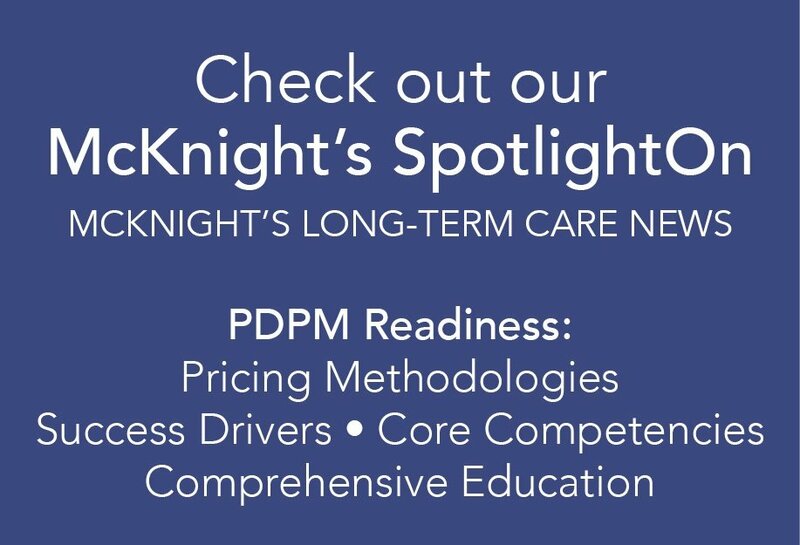 Becoming part of a preferred network or bundled payment program is critical to PAC providers’ survival, but it comes with a price: high expectations! Healthcare organizations and networks are seeking only strategic partnerships that will help them to remain financially viable. As such, it is imperative for PAC operators to not only understand these expectations, but to also execute on processes, programs and plans in support of these important strategic changes as soon as possible. The following discussion encourages swift and smart execution on three critical drivers: quality patient care, monitored performance metrics and tactical operational changes. Moreover, “in-network” providers are expected to embrace INTERACT, or a similar program to track, manage and report out on a comprehensive admission, discharge planning and communication processes related to care transitions. Often times, although a PAC operator understands the value of INTERACT, implementation is a challenge. Execution on developing care paths, advanced care planning tools, patient/caregiver education, quality review and QAPI processes continue to be intimidating but worth the investment. Quality Measures- sepsis/UTI, falls, cognition, etc. PAC providers can also leverage the power of performance data related to marketplace intelligence and data analytics specific to their referral sources. For example, it’s important to understand how a referring hospital’s reimbursement and their cost is associated with readmissions, VBP adjustments and/or Avoidable Hospital Days. Consider the value of a savvy PAC operator who is able to identify and strategically execute on interventions that contribute to the mitigation of unnecessary costs for their referral source; a “Win-Win” result in this scenario would surely hard-wire an important network partnership. Ability to form strategic plan based on objective performance data (e.g. : Quality Measures, PEPPER, Casper, CMS 5 Star and Quality Measures). This transition away from the industry’s traditional focus on driving utilization is as much an operational change as it is a cultural change. This may present a challenge for some facilities, while other PAC operators embrace the opportunity and leverage their ability to execute as a competitive advantage. Prepared to take your seat? An integrated technology hub is in place. Eventually, every PAC provider will be required to embrace this shift from volume to value and integration with upstream and downstream partners will be a necessity. The biggest challenge then becomes executing on the many initiatives, programs and operational tactics. Because many PAC facilities do not have the necessary resources, they may engage help from healthcare reform consultants, such as HealthPRO®/Heritage. Some consulting firms like HealthPRO®/Heritage have been executing on innovative healthcare reform strategies since the onset of ACO networks almost four years ago. Once thought of as only a therapy management team, HealthPRO®/Heritage is a unique example of where PAC providers can find highly qualified, specialized team of experienced leaders who can support your interdisciplinary teams in making necessary changes. Whether PAC providers choose to forge ahead on a strategic path independently, or will enlist the support from industry experts, the next generation of health systems and networks will feature those PAC communities that offer integrated, evidence-based, innovative and integrated systems that can consistently demonstrate the highest quality of care and the ability to collaborate with the full continuum of care delivery.